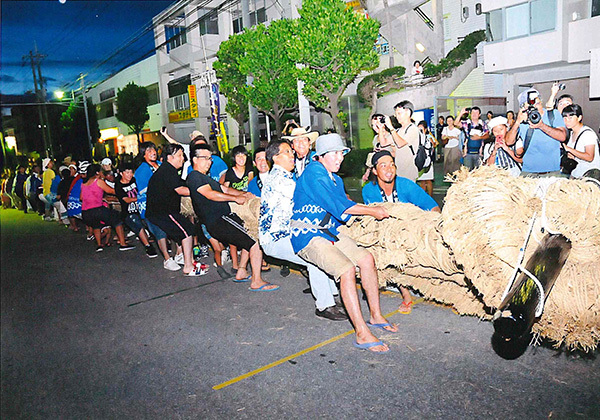 Two of Ginowan's popular tug-of-war events are scheduled for late July: the Oyama Great Tug-of-War and the Mashiki Great Tug-of-War. 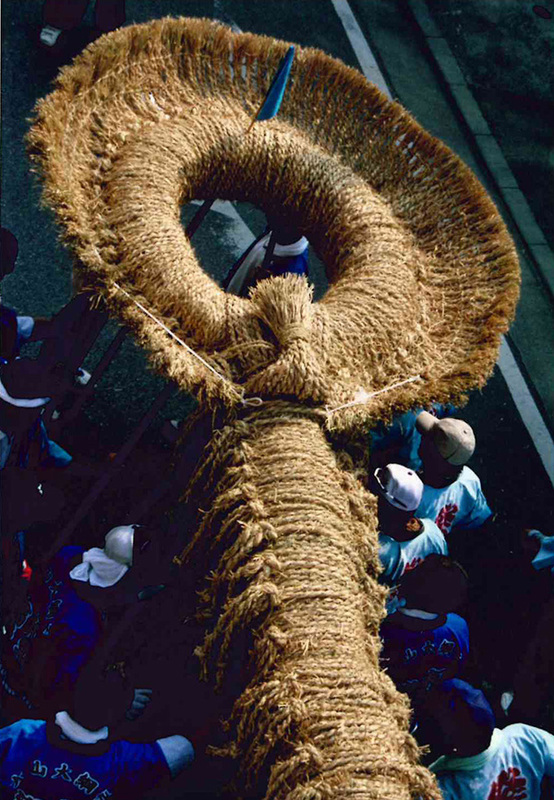 One of the unique highlights of these two events is the powerful and impressive performance, known as agee, in which the two huge ropes are held up in the air using rokushaku-bo (1.8-meter-long sticks) and are rammed into each other. Anyone, not only people from the area, can join in and pull the rope in both tugs-of-war. The beautiful decoration known as kuuge at the end of the ropes is worth checking out. 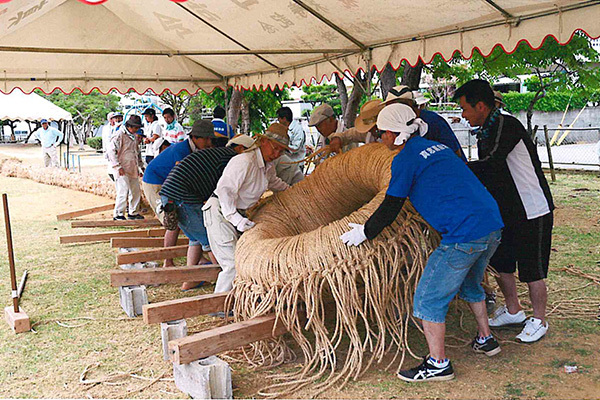 Kuuge is peculiar to the tug-of-war ropes used in the Oyama and Mashiki districts. 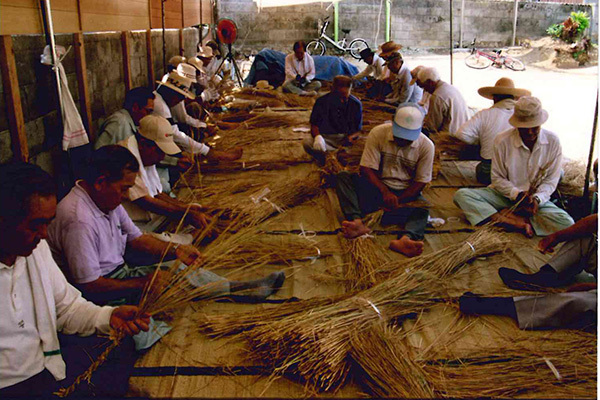 The ropes are braided by local volunteers for each year's event. 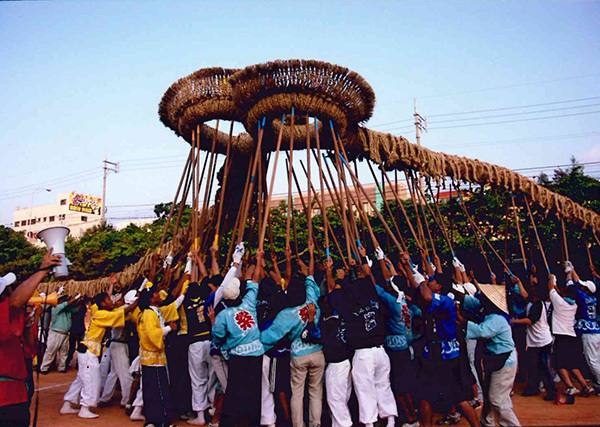 This tug-of-war has been held in Ginowan's Oyama district for about 300 years to pray for a bumper crop and the happiness, safety and fertility of its residents. 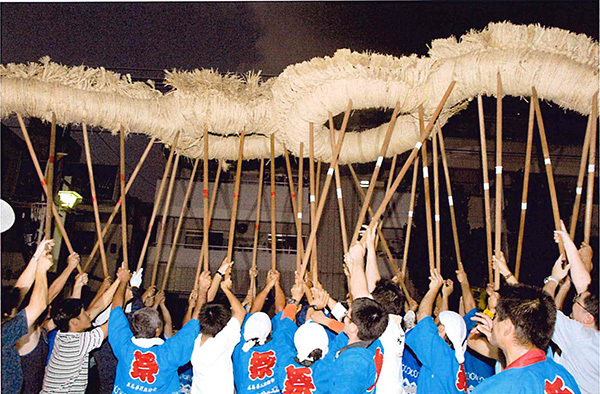 The Makishi Great Tug-of-War is a traditional competition dating back to around 1670. 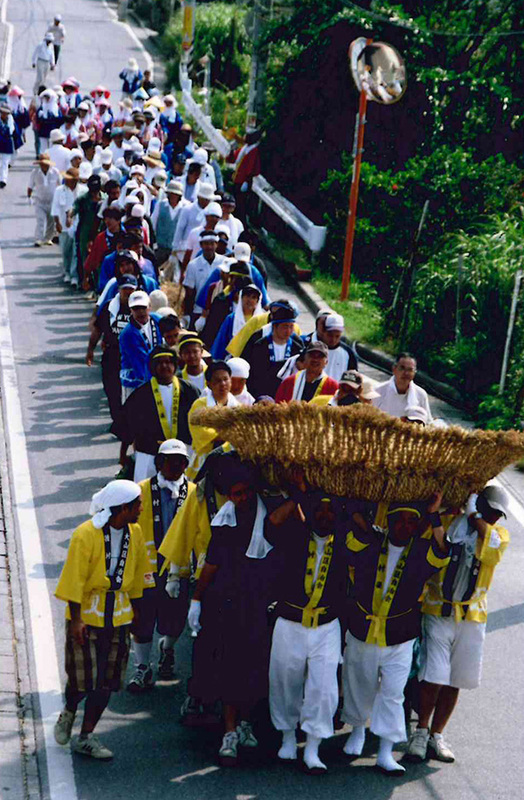 The tug-of-war is held to express Makishi's residents' gratitude to the gods for an abundant harvest and also to pray for the prosperity of the community, the safety of its people and the continuation of the family line.